While it is definitely right that education is the best passport to our future, it is a sad reality that education is too expensive that only those who have the money has the privilege to study while majority can’t even have that opportunity. 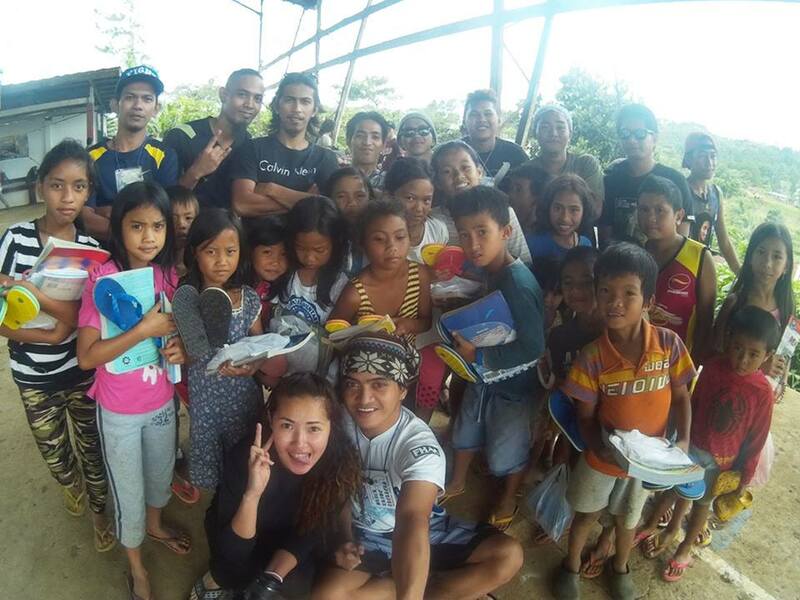 That’s why through the initiatives of the Rotary Club of Mindanao with the help of the different active mountaineering clubs that are also from Mindanao, Happy Forest Kids(HFK) was established. 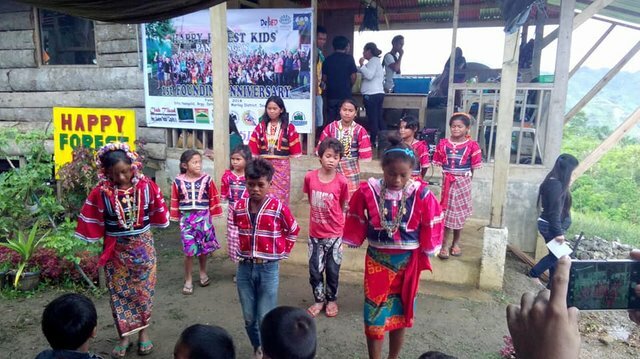 Happy Forest Kids was established to address the problem of the school dropout in the highland communities particularly among the areas of the indigenous people. Currently there are (3)three HFK shelters all over Mindanao and among the three, one is located in the highlands of Mt. Nangalid, Brgy. Datu Salumay, Marilog District in the City of Davao, Philippines. Our Club LUMOC was there last Holy Week to conduct initial information gathering for our upcoming “Brigada Eskwela Outreach Program” This coming May 19-20, 2018. 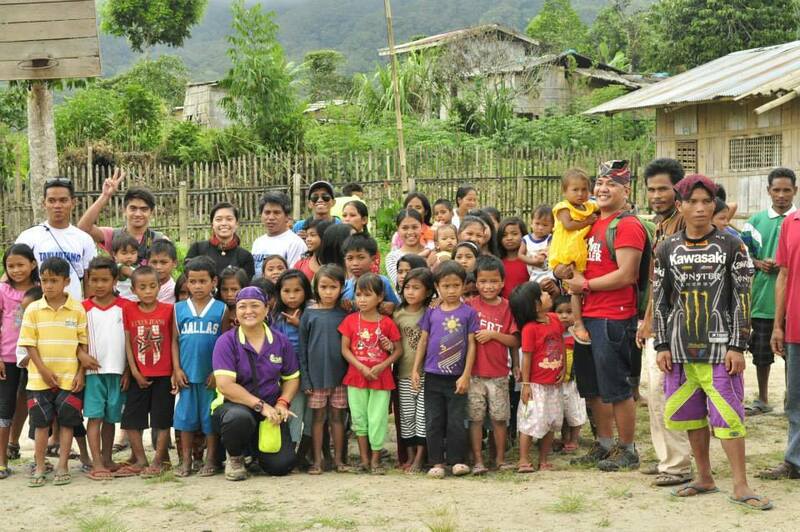 Our group also gave medicine supplies that was turned over to Datu Dangkay - The tribal leader of the IP community. 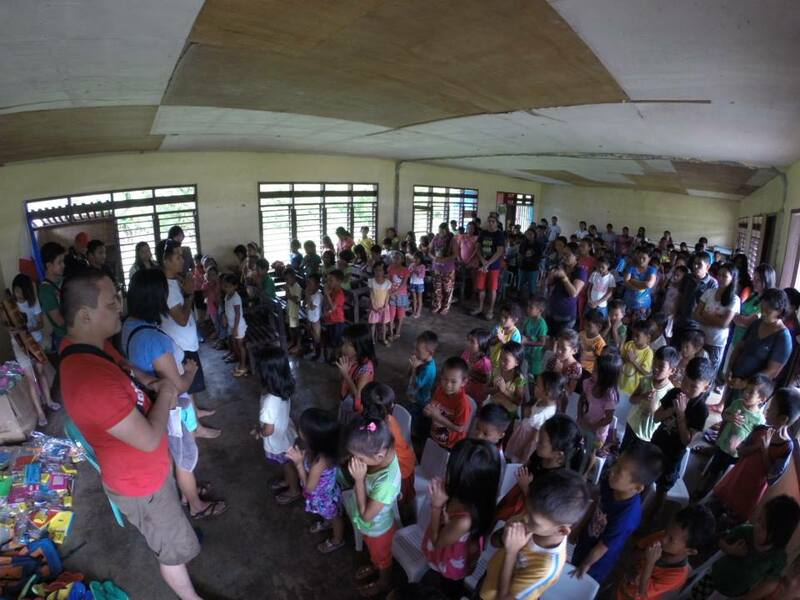 Moreover, we had a feeding program to the locals of Sitio Nangalid especially the children before we left the place. ”. The beneficiary will be no other than the children and the community of Sitio Nangalid, Datu Salumay, Marilog District. To give you a better scope of the event, let me share to you this link. 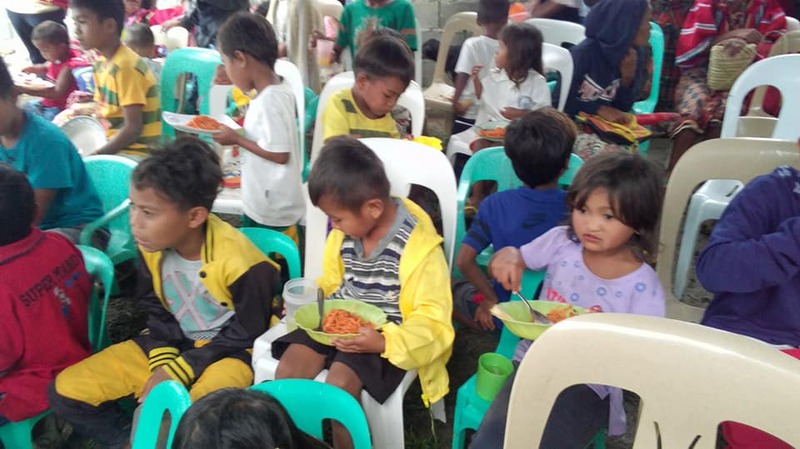 300 STEEM is indeed a big amount of money if we will convert it to Philippine Peso in today’s current exchange rate, so it will be more than enough to give the children of Nangalid what they needed to in order to participate well in school. So let me discuss below in detail what that big amount of money can buy. Our club together with the leaders of the HFK from the Rotarty Club will be having an outreach program at the highlands of Brgy. 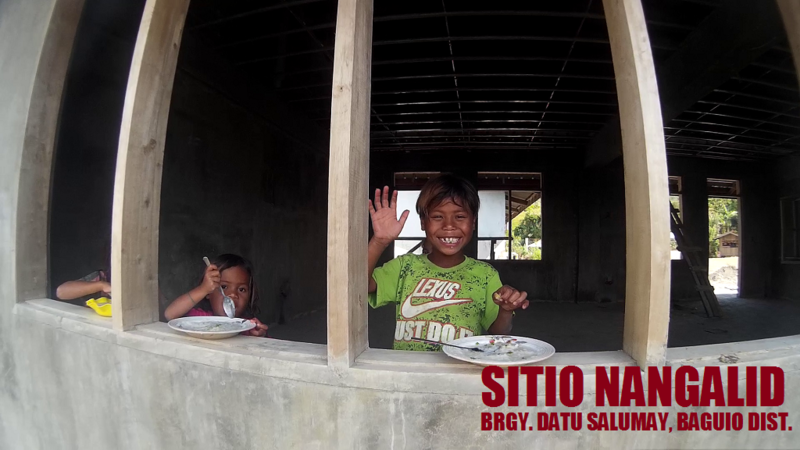 Datu Salumay particularly in Sitio Nangalid where the HFK shelter was built. 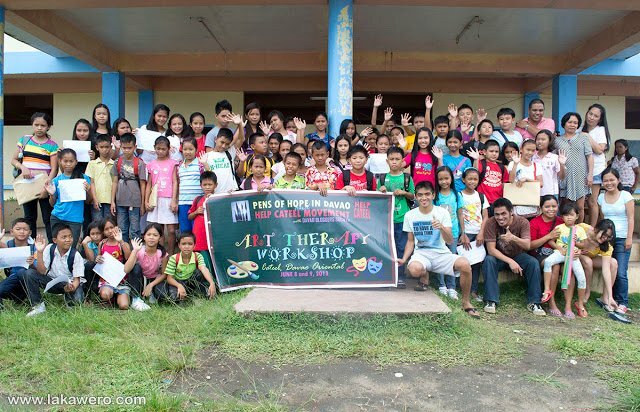 Sitio Nangalid has a Primary school and is currently catering 150 children from different grade levels. 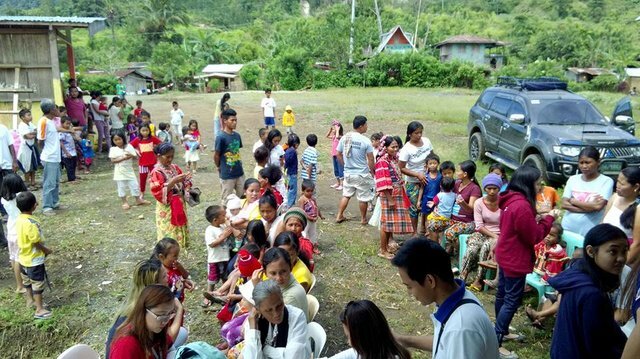 Sitio Nangalid is situated at the border part of Davao and Bukidnon thus the help from the government seldom reaches their Brgy. 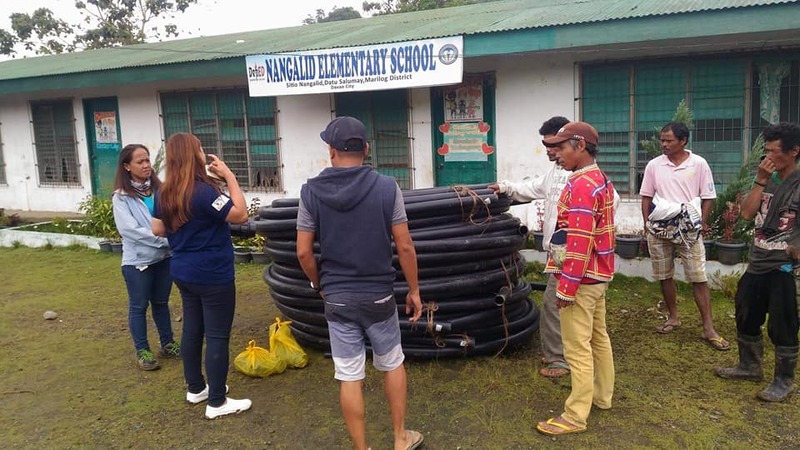 Our program “Brigada Eskwela 2018” aims to deliver school supplies to the children enrolled in Nangalid Primary School. We will also be repainting their school classrooms. 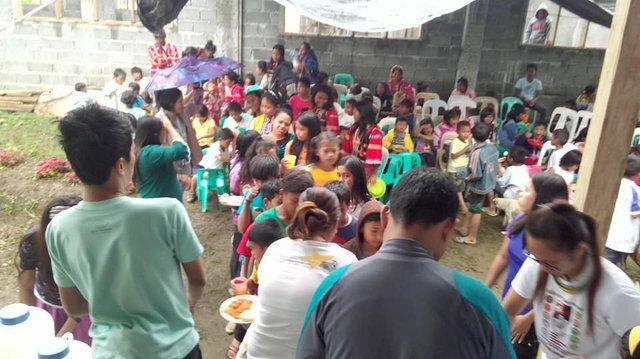 A feeding program is also listed in the event. This being said, We are currently actively soliciting sponsorships from different individuals to make this event a successful one. “If ever” I will win this contest, all the reward will be for the school supplies and the hygiene kits and we will amend our solicitation letters to focus on PAINTS, FOOD, TRANSPORT and other activities like free haircuts and etc. This is a 2-day outreach program focusing on the welfare of the children who wants to have a better education and future. 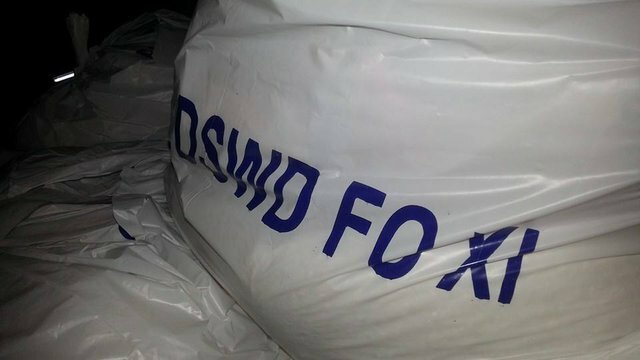 I will do a breakdown of materials needed both for School kits and Hygiene kits below with the price quotes and overall total to give all the readers a detailed overview of the program. We will promise to provide a complete school kit for each children enrolled at Nangalid Primary School. 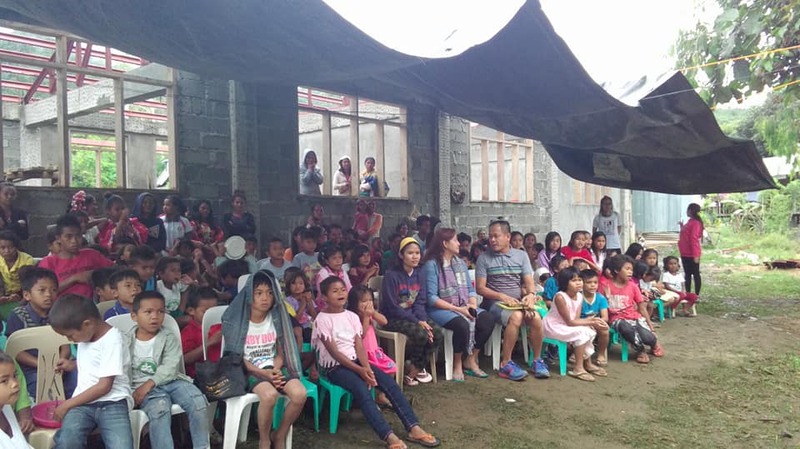 At the latest count, children enrolled at Nangalid Primary school is 105 but we will make it 150 to include the children of Tawan-tawan, a nearby sitio who also has children willing to go to school. This was suggested on the 1st meeting but this will only be done if we can gather enough sponsors since our 1st priority are the school kits. But if ever I win this contest, we will make sure this will be realized. the prices listed on the tables above are based on the SRP of the local mall here in our City. I will still go to Office Depot here in our area to have price comparison. I must select a cheaper price without compromising the quality of the material to maximize the budget. Please consider that prices may change as the school season is nearing. But we will find a way to make this all possible and we will document every single details from receipts to transportation up until the very last day of the event. A transparency report post will be done after the event to ensure that the donation was put into the cause itself. 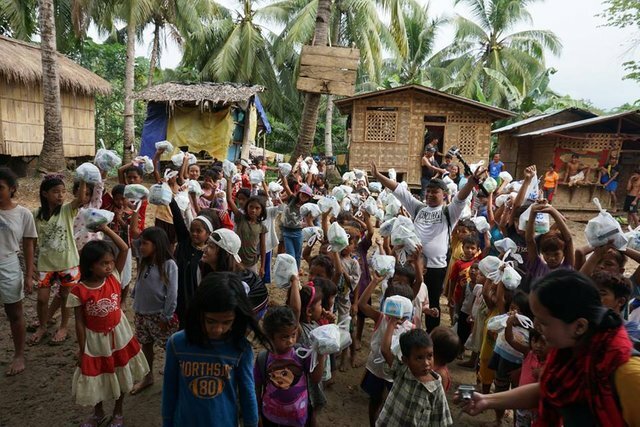 The items will be equally distributed into a total number of 150 kits both for school supply and hygiene. 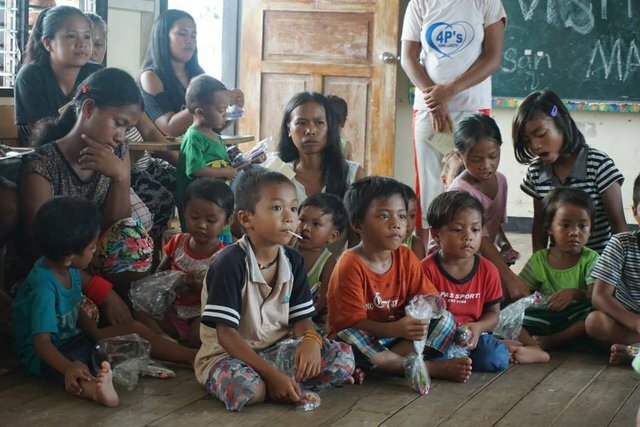 As stated, the current number of children enrolled at Nangalid Primary school is 105 but we would also like to give the children of Brgy. tawan-tawan so we decided to have 150 kits in total to accommodate all children. Our Brigada Eskwela Outreach program 2018 will be this coming May 19-20, 2018 at Nangalid Primary School in the highlands of Mt. Nangalid, Marilog District. The tentative itinerary we prepared for this event is as follow. This is the main agenda of our outreach program this coming May 19-20, 2018. If it’s God’s will that I will be the winner of the contest, then, this will be the best gift these 100+ young souls can receive this coming school year. 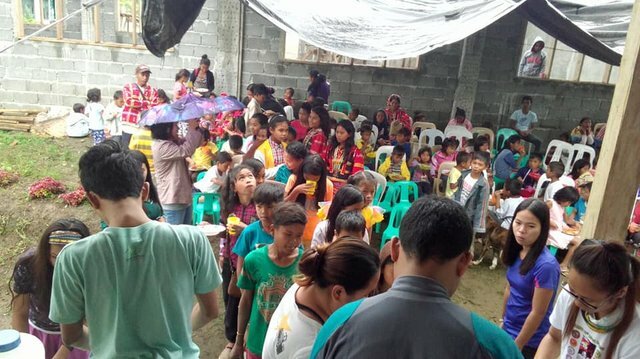 And before I end this post, I would like to share to you below the outreach programs we have done in different parts of the Philippines particularly in Mindanao. I am hoping that this great cause can inspire more and more individuals to start doing charities. small selfless act can make a ripple that will surely make a very big difference in someone’s life. Be that inspiration, strength and love they needed. Good luck to all of us who are participating this contest. I am praying that God will provide us more and more reasons to continue what we have started. Thank you for this very selfless act of yours sir @tarekadam 300 STEEM can make hundreds of peoples lives regardless of who will be the winner. Crowdfunding rocks! Thanks for bringing awareness of this topic on Steem. At Fundition.io, we help projects raise more money, with no fees. We would love to have you use our brand new platform! Please visit our friendly Discord (where our team will guide you) https://discord.me/fundition, or our website: https://fundition.io/, and start raising Steem (without any middleman) for your project today! Thank you very much for your detailed post. I admire the great work you are doing! All the best to you and the entire team. We are still accepting educational book donation to be turned over at HFK Shelter and Nangalid School Library this coming May 19-20, 2018. You're all about helping the children as always! Great job sir!